Wow, it’s a tough job market for sure. Candidates are getting slathered with opportunities via every channel possible. Recruiters are struggling to “race to the fax machine first”. Clients are making candidates jump, and I mean jump high, through hoops to land the job. And of course, finding the skill set to meet the need is a never-ending challenge for everyone involved. The bummer is that it’s not getting easier. In fact, it’s not only going to get a lot harder but candidates and clients need ALL the skills set to be Rock Stars (I hate using the term Rock Star; it’s now generic and overused) along with the data knowledge to go deep in optimization. Data, data, data, No matter what industry you’re in, deep data knowledge will continue to drive the success of your career. Data Scientists, Media Analysts, Reporting Specialists are searches we have “live” and kicking right now. These are “quick placement” hires for our clients. However again, the people who have these data skills and can client face along with making sense of it all are getting attacked. Think of that one potato chip left on the beach and the swam of seagulls who are really, really hungry. Same concept. We need more potato chips along with talented, current marketers who are deep in data. If you have not spoken with us in a while, you really should get back in touch with us. If it’s been over a year since we last spoke, no doubt give us a call. We want to get updated on your career. We want to update you on the market. We want to hear all about your data experience. 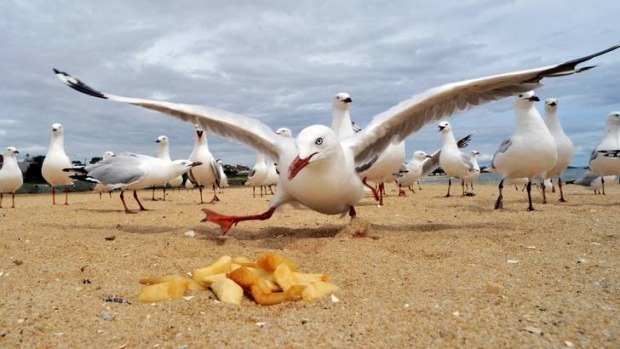 We want a potato chip!